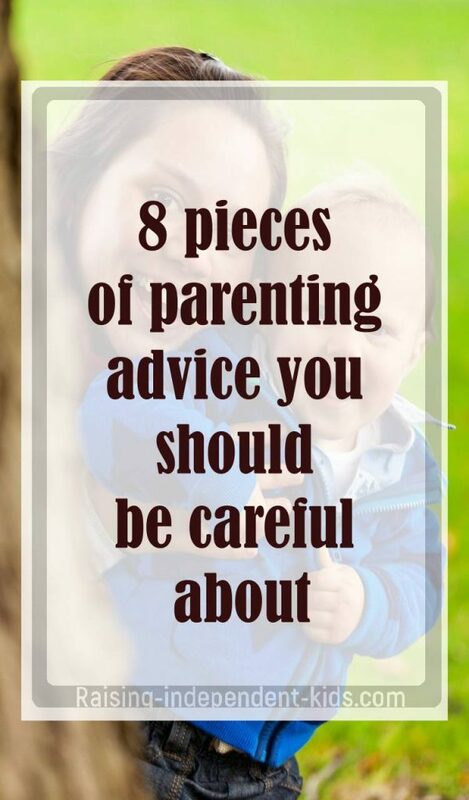 Here are 8 pieces of bad parenting advice you need to take with a grain of salt. “Trust your instincts, you’ll now what to do” sounds like great advice. The truth is, many times you won’t know what to do. Even when you’ve already had other kids, the strategies that worked with one kid will not necessarily work with another. The thing with parenting is that there are always new experiences that make us question our parenting styles. On many occasions, you will know exactly what to do. On many other occasions, you will be clueless about what you should do and how you should react. Don’t despair – you are not alone! Ask for help when you need it. Don’t be afraid to try stuff. Even if you get it wrong, at least you’ll know one way that won’t work. Kids should be allowed to enjoy their childhood. Much of their behavior can often be explained by their stage of development. It is normal for kids to do things kids are supposed to do. That said, excusing misbehavior is unacceptable. We cannot ignore violent and aggressive behavior by hiding behind the advice “Kids will be kids.” Kids need to be taught to differentiate acceptable and unacceptable behavior. They must also know that they are responsible for their actions. A kid who is ignored during a tantrum will eventually stop, but the experience will teach him nothing about learning to manage his emotions appropriately. What we commonly refer to as “acting out” is often driven by emotions and when we fail to address those emotions and to teach kids how to handle them, we lose an important opportunity to teach kids how to react. Treating your kids equally is being unfair. Giving your three-year-old and your ten-year-old two cookies each is being equal, but it’s not being fair. Evidence suggests that no two kids are ever treated equally. This makes sense when we know that no two kids are equal and they thus have different needs. There have been suggestions that feelings of “unequal justice” underlie most cases of sibling rivalry. However, kids are more likely to accept differential treatment if they believe it’s fair. For instance, younger siblings may have fewer chores, but they also have fewer privileges. Instead of focusing on treating your kids equally, focus on treating them fairly. Childhood is not a race, that much is true. No two kids are similar and while one kid may walk by nine months, another may still be crawling past 18 months. Kids achieve their development milestones at different stages but, when your child is experiencing difficulties and you’re worried about whether or not she has a problem, it’s important to seek professional help. If there’s a problem, ignoring the warning signs will not make it go away. Moreover, early intervention is always decisive for the outcome. We’ve all heard that boredom is constructive for kids but the truth is, poor choices are likely to be made if decision-making is not structured. Contrary to popular belief, sparking kids’ creativity and helping them develop their problem-solving skills is not just about letting them get bored. It is about fostering constructive boredom. Constructive boredom means providing the resources and the environment your kid need to thrive then letting them him make his own decisions within that environment. In other words, to foster creativity, kids need unstructured but stimulating environments. Who came up with the advice that biting kids back teaches them not to bite? While you should teach your kid what behavior is unacceptable, using pain to “get her back” is pointless. Biting your kid will only teach her that biting is acceptable behavior to express her emotions. 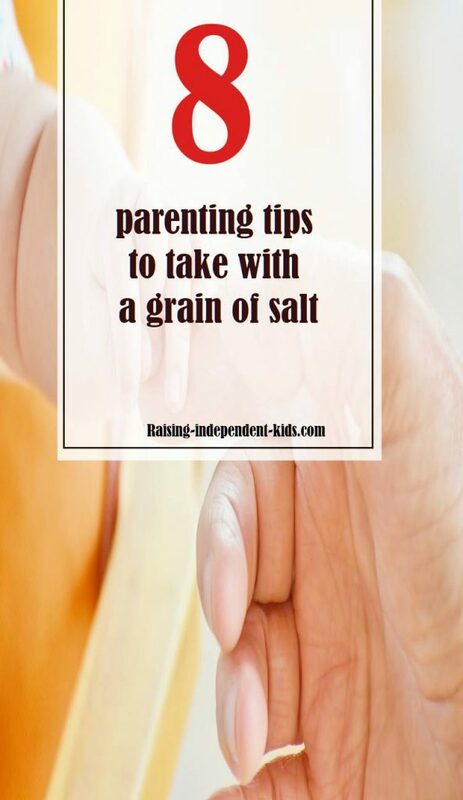 There are always better ways to deal with your kids’ misbehavior – you just have to find the one that works best for you. Remember that young kids are not always empathetic so instead of forcing your two year old to apologize, show empathy and concern for the wronged kid. There is no doubt that arguing or fighting in front of kids affects them but what really matters is how you fight. Handling conflict in a positive way teaches your kid that emotions such as anger are normal and can be dealt with in appropriate ways. When you agree to disagree, you not only teach your kid that arguments are a part of life, you also teach him how to verbalize his own difficult emotions. Arguing or fighting in front of kids, however, can awaken many emotions. Your kid needs to know that the fighting is not about him nor is it caused by him. Talking to him about the situation – we were angry at each other but we’ve talked about it and sorted it out – can teach him to manage his own anger. 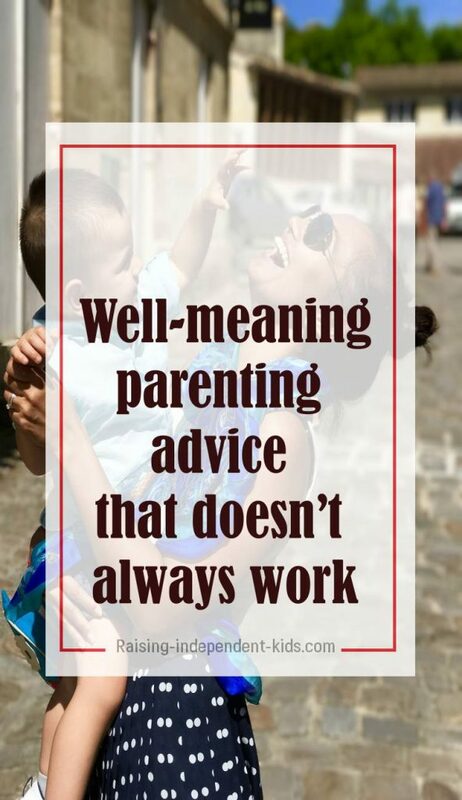 The truth about parenting advice is that none of us really know what we’re doing, and none of us have any guarantees about how our kids will turn out, but we have to keep giving it our best shot.